We welcome President Habre to Washington as the leader of a nation that has recently beaten back the violent aggression of an outlaw state (Libya). In winning its stunning victories, Chad has acted to preserve its freedom and handed a forceful message to aggressors. That message is: African nations will defend their sovereignty and foreign aggression will be defeated. In our discussion today, President Habre and I reviewed some of the events that led to this aggression. We also discussed the current situation in Chad. The United States has proudly joined France, Zaire, Egypt, and other friends in the effort to provide President Habre's government the means to fight and win. That would be the same Hissene Habre convicted of crimes against humanity by an African Union court yesterday. And that alliance that Reagan refers to involved Mobutu and Mubarak. This stuff eventually catches up with you. On the other hand, the French were apparently nervous back in 1987 that Chad's war against Libya was going so well that the Libyan government under Gadaffi could itself implode causing chaos in the Mediterranean, so they successfully urged Chad to ease off some of the notions that they might have picked up from Reagan's speech. For all we know, that French cynical realism probably bought 30 years of stability in migration from the Sahel. There's probably not much that could have been done about it, but it was not a good idea for UK Foreign Secretary Philip Hammond to be sitting next to foreign minister of Saudi Arabia Adel al-Jubeir as the latter outlined the Saudi position on why Iranian pilgrims would not be able to participate in the Hajj this year. Access to international holy sites is an issue that that can leave Saudi Arabia vulnerable to criticism, but simply by sitting there, Hammond ended up looking like the UK agrees with the Saudi stance on the issue. The liberal cult of the child is instructive in its similarities to fascist thought. Children, like youth, are driven by passion, feelings, emotion, will. These are among the fascist virtues as well. Youth rep- resents the glories of "unreason." These sentiments, in turn, are deeply tied to the narcissistic populism that celebrates the instincts of the masses. "I want it now and I don't care if it's against the rules" is the quintessentially childlike populist passion. Fascism is a form of populism because the leader forges a parental bond with his "children." Without the emotional bond between the leader and "the people," Fuhrer and Volk, fascism is impossible. "I'm on your side," "I'm one of you," "we're in this together," "I know what it's like to be you," constitutes the sales pitch of every fascist and populist demagogue. Or as Willie Stark says to the nurturing crowd in All the King's Men: "Your will is my strength. Your need is my justice." Arguments, facts, reason: these are secondary. "The people of Nebraska are for free silver and I am for free silver," proclaimed William Jennings Bryan, America's most beloved populist. "I will look up the arguments later." One of the most persistent framings of the 2016 USA election coverage has been: Is Donald Trump a Fascist? There are at least 2 problems with this line of inquiry. First, its resolution is only likely to come with some Paolo di Canio-style clarity from Trump, which is unlikely. Second, to the extent the question is on the radar screen of the general public, it's going to make polling more difficult. Anyway all that's by way of saying that a mechanical relating of Trump to past political phenomena is unlikely to fully explain his support. It's enough to root Trump in white grievance and an eroding working class. There are other dimensions of class and culture. What prompts this post is an Atrios rumination from yesterday noting that the term hipster has become meaningless because it's applied so widely. The French tend to be more precise about these things, so here's a Le Monde online article from last year to help you figure out whether you're a Bobo or a Hipster. A key difference is the Bobo is a left-leaning and aware but personally striving professional (e.g. kids in private school) while the Hipster is exemplified in the Shoreditch/ Pigalle/ Brooklyn consumerism where it's about a particular type of narcissistic signifiers of status. Both terms can be used dismissively in political analysis, although in France it seems that Bobo is more pejorative of a cause, whereas in the USA it's Hipster (connecting back to the Atrios complaint about its overuse). What does all this have to do with Trump? In the USA, where after all the term Bobo was invented (by David Brooks), it gets at a particular group style of professional (with degrees to show for it), liberal-leaning, managerial, technocratic, well off, and aspiring to the consumption patterns of its French cousin. Arguably, two members of this group are currently in the White House (Barack and Michelle Obama). Hillary slightly predates the Bobo in her personal trajectory, but she'd certainly put them in charge of important things. But Donald Trump, and his voting base, don't like such people. Subsequent posts will pursue this further. The Prime Minister has to make some very tough decisions, decisions that I believe are necessary but very difficult. We do not expect Greece to repeat the Labours of Hercules, and Greece is unlikely to clean the Augean stables of European bureaucracy. Gove believes that most of the British public, and even most members of Parliament, see the familiar trappings and procedures of the House of Commons — the mace, question time — and think nothing has changed. But most of binding law in Britain — estimates vary from 55 percent to 65 percent — does not arise from the Parliament in Westminster but from the European Commission in Brussels. It's possible to justify any measure between about 15% to 50% depending on which definition of 'UK law' you look at. A month ago in Ireland there was a bit of puzzlement when the High Court refused to allow a legal action by James Boyle against Denis O'Brien and the Irish state, concerning the award of a mobile telecom license, to go ahead. The judge cited the legal principle of "champerty," dating back to a 1634 English law, which forbids third party financing of legal actions. The tone of the media coverage was that there's something odd about a case being derailed because of a seemingly arcane legal principle. But there's nothing arcane about it. It's precisely the principle at work in the latest revelations about the Hulk Hogan versus Gawker case and the apparent financing of Hogan's legal fees by PayPal founder Peter Thiel. The legal system is not supposed to be a vehicle for third party vendettas, and despite its Blackadder-ish connotations, champerty is actually a well established doctrine in Anglophone legal systems. Gawker might not get anywhere with their appeal, but there is centuries of legal thought behind them. 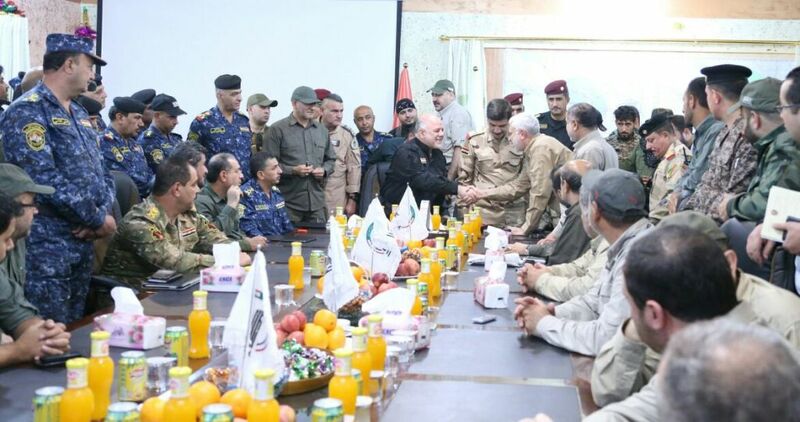 If the Iraqi government military operation to retake Fallujah from ISIS fails, it won't be for lack of orange juice. A well stocked meeting in which the Prime Minister discusses the campaign. That's a HM Treasury inflation analysis finding that a sterling depreciation after Brexit would cost the typical family £120 a year by 2018 -- based on estimation of the above equation. If it's a choice between equations and Hitler references, the typical family might just take Hitler references. More seriously, the cost is all based on an assumption that Sterling would depreciate by 12 percent after Brexit. Thus, if sterling would go to up by 12 percent, families would be better off by the same amount. Treble appreciations all round! Excellent clickable analysis map from ORF (Austrian national broadcaster) showing the breakdown of the election results. Short version: the cities, and the north and west voted for the Green candidate van der Bellen. The smaller towns, countryside, and south and east (including the historic Celtic areas) voted for the Freedom Party candidate Hofer. We found the Iraqi WMDs! 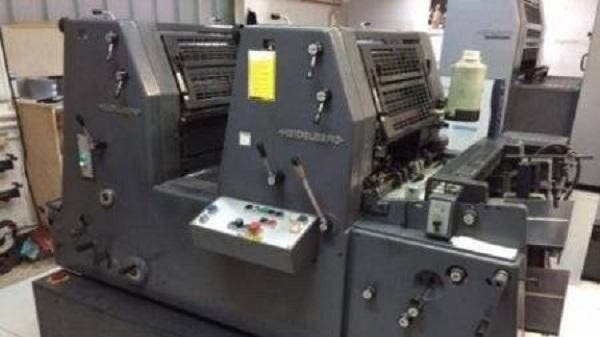 Highly dangerous printing presses seized in Baghdad today by security forces; they had been found guilty of the monstrous crime of printing pro-Baathist materials. Before the Donald Trump presidential campaign, America had reasoned and restrained debate about major public policy issues, in which evidence-based solutions were carefully discussed. When Arab youth rose up in revolt in 2011, their slogan was not “the people want the fall of Sykes-Picot”; it was “the people want the fall of the regime”. In the strange genre of "Here's what we know" Vox journalism, the only relevant statements are narrowly circumscribed descriptions of an event, in this case the EgyptAir plane crash. In fact, we know a lot of potentially relevant information. For example, the above is a photograph of equipment seized from an Al-Shabaab laptop bomb making factory in Mogadishu, Somalia 4 days ago. Al-Shabaab has already demonstrated that it can get a laptop bomb on a plane, using trickery involving the security screening of a disabled passenger. Furthermore, Islamist terrorist groups cooperate and compete with each other. Hopefully, crash investigators aren't sticking to the latest rules of "serious" journalism. It's tragic when less developed states with weak governance and cynical elites grab all the oil money and don't spend it on the future, like school for the nation's children. Somewhere below the Sahara? No. As Reuters explains, Oklahoma and Texas. Venezuela has reached a deal with its main financier China to improve the conditions of an oil-for-loans deal, giving the OPEC member's crisis-hit economy "oxygen" ahead of heavy debt payments, its top economic official said on Monday. Venezuelan Economy Vice-President Miguel Perez told Reuters that all conditions, including loan time frames, investment amounts and non-financial aspects, had been improved. In the delusional mindset that has governed the country for years, better terms on those Chinese loans is a victory. Leave aside that the Chinese haven't confirmed the revised terms yet. The point is that these loans are being serviced at all when people are dying for lack of funds. (and yes, we've made this point before). There are potshots currently being lobbed (and somewhat deserved) at people who praised Chavezonomics when any kind of in-depth knowledge would have given cause for doubt. But this isn't socialism as much as an elite lacking any notion of mercy. After the financial crisis, Universa bet that the Fed pumping money into the system would spur hyperinflation. So far inflation has been notable for its absence, but Mr Spitznagel is undeterred. “This is the greatest monetary experiment in history. Why wouldn’t it lead to the biggest collapse? My strategy doesn’t require that I’m right about the likelihood of that scenario. Logic dictates to me that it’s inevitable,” he says. One tricky thing about interpreting the hyperinflation expectation is that unlike some classic black swan events, not widely seen as likely, the hyperinflation expectation has been widely held since 2008, especially among Republicans; e.g. House Speaker Paul Ryan's views have veered in that direction, and he's also predicting a US federal debt crisis. The monetary system itself seems to be resilient to the belief that it could collapse. [Reuters] A U.S. forces in Somalia called in an air strike on Thursday that killed five fighters from the al Qaeda-linked militant group al Shabaab, the latest in a series of U.S. military operations targeting the organization, the Pentagon said. The U.S. forces had been advising Ugandan soldiers with the African Union mission (AMISOM) during an operation against an illegal taxation checkpoint when the Ugandans got into a firefight with 15-20 al Shabaab fighters. [Reuters] Ugandan opposition figure Kizza Besigye was charged with treason late on Friday for declaring himself president and challenging the election victory of veteran leader Yoweri Museveni, officials from both camps said. The charge - which carries the death penalty - marked an escalation in recent confrontations between the government and Besigye who has been repeatedly arrested and accused authorities of beatings and intimidation. Putin has that massive triple-decker national defence control centre and he couldn't even rig the televoting in the Eurovision song contest? Yet another case in point. Mustafa Badr al-Din. Or Mustafa Badreddine (for some reason, a more Francophone-type spelling is being used for him) -- Hezbollah's senior commander in Syria, killed in a mysterious attack today. It's quite an achievement for a man who was under a death sentence in Kuwait in the 1980s to have been alive until today. But that's the puzzle: no one knows exactly how he got out of jail in Kuwait, except that it happened in the chaos of the Saddam invasion, and may have involved transit via Iran back to Lebanon. (Sudan Tribune) May 11, 2016 (KHARTOUM) - Sudanese President Omer al-Bashir would start a two-day visit to Kampala on Thursday to discuss bilateral ties and the situation in South Sudan with his Ugandan counterpart Yoweri Museveni. As the statements of condemnation get tapped out on smartphones over the next couple of days, it will be abundantly clear that it's all just going through the motions. Q1370. What is the view on wearing a necktie? A: Generally speaking, it is not permissible to wear a tie, or other kinds of clothes that are considered as the attire of non-Muslims, in such a way that their wearing will promote vile Western culture. As the historian Niall Ferguson observed, it takes a network to defeat a [terrorist] network. 2. The quote is about a single military force learning to use multiple sources of information, not enhanced coordination among multiple security services. Pope Francis accepted the Charlemagne Prize this year, and made a pro-European Union speech. Whatever. This preposterous award was given to Ireland's Pat Cox in 2004, but perhaps most bizarrely for the Pope, a previous recipient of the Prize is, in the manner of Private Eye's Bore of the Year Award, the Euro. That's right: in 2002, it was given to the single currency, whose discipline 6 years later would accelerate recession across half of the continent. Special commemorative editions still available on e-bay. But the real trouble, I'd argue, is with Strauss's 1930s-driven lack of faith in modernity, his insistence that unimpeachable truths (not insights, eternal truths) about human nature could be gleaned by close reading of ancient texts by a few in the elite, and his followers' need to disguise their disdain for democracy and religion (making them insufferable cynics). It was hard to find a Straussian scholar who wasn't obsessed with domestic politics and who wasn't a neoconservative, itching for a new war for freedom somewhere. Plato had planted a gnawing worry in my mind a few decades ago about the intrinsic danger of late-democratic life. It was increasingly hard not to see in Plato’s vision a murky reflection of our own hyperdemocratic times and in Trump a demagogic, tyrannical character plucked directly out of one of the first books about politics ever written. Did we know that Barack Obama thinks that opposing Iran in Syria might cause a war with Iran, and therefore should be avoided? That would explain the ease with which Iran has been able to backstop Bashar al-Assad and Hezbollah, but is problematic for John Kerry's repeated claim that Iran's adverse behaviour on matters other than the nuclear program don't matter for the purposes of the nuclear deal because they can be countered by other means. If the President really thinks that countering Iran in other arenas could cause a war, then those other means are not operative. The Rhodes article is also inspiring lots of trawling through the online media space to figure out who he considered to be in his echo chamber. Here's one New York Times article (by Gardiner Harris) from the Iran nuclear debate era last year for which Rhodes is clearly the key unnamed source (note its tone of transformative potential of the Iran deal). The article of course uses the classic misdirect of attributing one quote to Rhodes, as if to imply that the numerous unsourced quotes are not from him. The establishment of General Authority for Entertainment; and shall undertake all activities relating to entertainment and shall have a board of directors whose chairman is appointed by a royal order. Petraeus has the luxury of being prosecuted for mishandling classified information, and sentenced only to paying a US$100,000 fine -- loose change given the speed at which the military-industrial revolving door has worked for him (as the FT notes, he's now on Wall Street). It's unlikely that's the deal he has in mind for Snowden. And so the Tom Friedman cycle is off again, at higher frequency. Larry Wilmore was the guest comedian at last night's White House Correspondents' Association dinner. The theory on his edgy, roast-worthy performance, which got an often frosty reception inside, was that he was playing to the wider audience who would be watching live or later on clips. But a complementary possibility is that his intended audience was his fellow comedians. 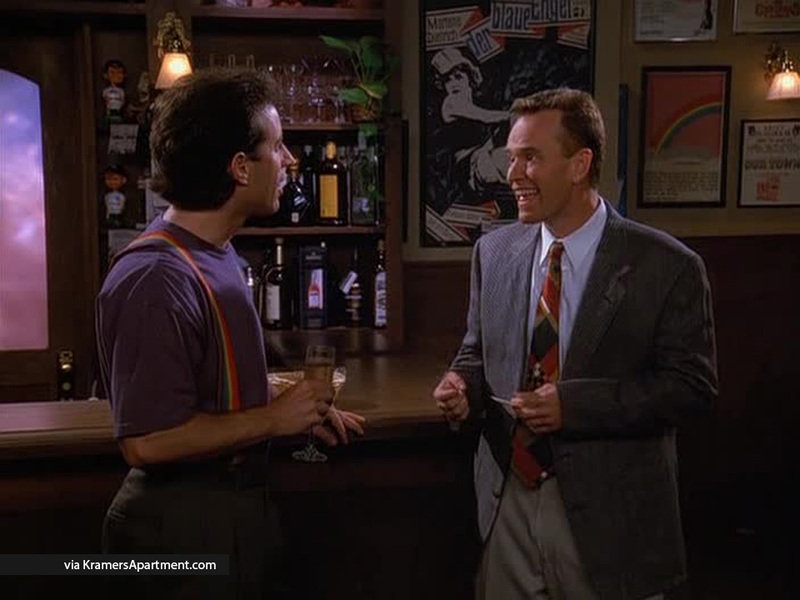 The spectacle of persevering through jokes for a grumpy audience has a certain cachet for comedians, as is evident in the Kenny Bania-Jerry Seinfeld relationship on the latter's eponymous show. Anyway, Barack Obama had enough good jokes that he didn't suffer from Wilmore having decided to take a dive. The reported attack today on the Iraqi Parliament and the violent protests in Baghdad risk to further destabilise an already tense situation. It appears as deliberate disruption of the democratic process. Any careful reading of what's actually going on in Iraq (e.g. this BBC story) would call for caution on using the word "attack" (suggesting an equivalence to terrorism) or praising what had been going on before the "attack" as the democratic process. In particular, vested interests in the parliament have been using quorum rules to block votes on selecting more qualified ministers than the current crop -- which is what the Prime Minister says he wants.